NB: This purchase was actually made on 10 September. Hold: Continue to hold the company until the sale (presumably) goes through and then bank the 670p per share. Sell: Sell before the deal is completed (at a slightly lower price) and use the proceeds to work for me as soon as possible. In the end I decided to go for option two. Why? Well, although I don't doubt that the deal will go through, it is nice to bank the profit now. Also, the price difference today and the final bid price was limited and seeing as the markets are rather depressed at the moment it seems an opportune time to deploy the cash elsewhere. As noted before, Amlin replaced Catlin in my portfolio when it was announced that the latter was being purchased by XL Group. The speciality insurance sector is one of my favourites. However, sadly, it has dwindled in size of late. Nonetheless, Amlin has been a good buy for me. In the last twelve months--including the to-be-paid interim dividend and excluding the special dividend--the dividend has amounted to 27.3p per share. A pretty generous yield. Now, the sale netted me £872.23 (minus fees). That is quite a hefty return on my original £688.50 investment. Indeed, from a plain capital gains perspective it represents a 20% return. With dividends included it nearly amounts to a 29% return. When you bear in mind I had only held it since March as well, the annualised rate of return is a staggering 50% from capital and 65% from capital and dividends! Not bad at all. Of course, that could have been more. The acquisition priced the company at 670p per share. This would have thrown out £897.80 if I had waited for the acquisition to go through. That is £25.57 more than I received from this sale. However, of course, I could put the cash to work elsewhere in the meantime....which I did. But where? Well, over at the consumer giant Unilever. 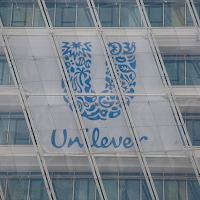 I have--like so many people--always found Unilever an attractive long-term investment. It owns such an impressive array of high-quality brands across a number of attractive consumer sectors there are few people who can claim not to have some relationship with the giant. Indeed, its size and diversification (of products and geographies) leaves it with few comparable peers. US giant (and hopefully future core holding for me) Procter & Gamble being its closest rival. However, I have not topped up my holding since I last did back in January 2014. As a result, it has shrunk to a fairly small holding outside of my Top 10 largest. This was for no particular reason other than the fact that it seemed to me to be a little expensive relative to other investments at the time. However, with the recent market volatility Unilever came back down to around about the same price I paid back in early 2014. Time, it seemed, was ripe to bulk up my holding a bit. So how does the purchase look? Being such a major player in a higher attractive and stable industry we rarely see bargain basement prices for Unilever. As such, you usually have to raise you threshold for such companies. Since 2011 they have seen annualised EPS growth of 4.5% which is pretty solid. So what do the analysts predict for this year coming? Clearly this is hardly bargain basement in absolute terms. But for me, a PE of 19 is fairly reasonable for a company of Unilever's calibre and health. This is particularly true when you bear in mind the weakness in the Euro at present. If the Euro was to return to its 10 year average exchange rate tomorrow the consensus PE would sit in the 18s which is not bad at all. Certainly the lowest prediction leaving a PE of 21 is rather high. However, that prediction seems overly pessimistic in light of the continued outperformance of Unilever compared to analyst predictions in recent quarters. Here we see Unilever hitting back with some more serious EPS growth. With the consensus PE looking to head below 18 I would be a very happy bunny. Obviously, the yield for Unilever is not going to fully replace Amlin's yield. However, their yield is anticipated to grow by about 6% for this year and next. As a result, it has a solid predicted yield of €1.19 and €1.27 during that time which throws out a yield of 3.38% and 3.6% (at current EUR to GBP rates). However, here it is useful to consider again the EUR to GBP exchange rate average. Using that for a 10 year period the predicted yields would be about 3.6% and 3.85%. With this I would expect to see about £31 and £33 dropping into my account as dividends instead of £29. Something to bear in mind there. The yield is pretty well covered as well. For this year and next it is anticipated to covered by at least 1.4 times earning with the consensus at 1.55 times earnings. For a company with such a consistent earnings profile as Unilever this is more than ample. With regards it other numbers Unilever also looks in rude health. It's debt load has been increasing of late. However, it remains at a fairly comfortable debt to equity ratio of 0.91. Ideally I'd like to see that come down to the level of other consumer giants like Reckitt Benckiser, PZ Cussons and Procter & Gamble to around 0.4 to 0.5. However, for a company like Unilever with stable earnings and with a credit rating that is A grade and seen as stable it is perfectly fine. Unilever also has a pretty sizeable amount of cash on their books (about 46p per share). It is not as high as some others. However, for a consumer company like Unilever this seems to be fairly average for the sector. Unilever looks a pretty nice addition to my portfolio in replacement for Amlin. I will only receive a little less in dividend income than I did with Amlin. However, it also fits pretty nicely into my investment goals for this year. With a Beta of around 0.54 it should help keep the volatility of my portfolio a little lower. Certainly, it will help to achieve my target of a portfolio Beta of 0.85 or less for 2015. The yield--although not super high--is more than ample and should grow nicely in the coming years (especially if currency exchange headwinds turn to tailwinds). The additional dividend will also offset some of the "lost" income I would have received if I had just allowed the Amlin acquisition to go through. Indeed, I should see about £16 additional dividends from this fresh purchase drop into my account before the purchase is completed (around March next year) which leaves me only £10 out of pocket. Overall, I am very happy with my purchase. Now Unilever is my second largest holding joining at what I think is a reasonable price. Consumer Goods also now represents my biggest sector holding. It has now just overtaken the financial sector for, I think, the first time since early 2014. Ideally, I would like to look to bulk up some of the other sectors here which are under-represented at the moment. Health care and industrials stand out in particular. However, I would be quite happy to bulk up my utilities exposure as well if the opportunity presents itself. We will see. Great minds think alike, my Unilever purchase is happening TOMORROW! I was tempted by PZ Cussons, but since I already have Unilever, I would like to average down my previous cost basis of the shares. If it continues to stay around these levels, I might buy some more next month too! They do indeed! I don't blame you. Clearly, Unilever should be more "stable" than PZ Cussons. However, it is all relative. PZ Cussons is extremely stable in absolute terms. I find both companies very attractive which is why I was happy to beef up both holdings recently. Should serve me well! I have also opened a (very) small position in Procter & Gamble of late. The China slowdown seems to have thrown up some excellent consumer goods bargains for the long-term investor! Good luck with your purchase tomorrow. Looks like it should still be at a really attractive price! I wish I could load up more! Hey D2, just wondering which kind of account your bought P&G in? I've been thinking about the American greats again and just am too cheap to pay tax, so was thinking of opening a second SIPP account so that I can buy into the US market on a tax-free basis. I plan to write an article on this at some point. SIPPs are excellent for it, of course, but some are better than others. Some brokers do not hold separate pension accounts in the US (in other words, they is just one account for normal taxable and non-taxable accounts) which means that they either have to reclaim the withholding tax or don't bother at all. At the moment I have taken the tax hit. I opened an "experimental" account with DeGiro. they only started operating over here in the UK recently but are well established on the continent. They are cheap but there are a few things I don't like about their "lending" policy with regards to your holdings. I certainly would not hold a too large portfolio in them. But for small holdings in US companies it seems perfect for my purpose. They have low transaction costs (including FOREX charges...0.1%!). Currently my plan is to use them to build up US holdings over time and then find a "better" home for them some other time when the holding is a big enough size to justify it. I had considered Legal & General. However, I am already pretty generously invested in them already. In contrast, Old Mutual was a serious contender as it is also attractive but is a much smaller holding at present. I was not too worried about pushing the cash back into the same sector. If prices of some of my favourite companies had not been so depressed I would have likely directed the cash back into an insurance (or, more likely, a speciality insurance) stock. However, Unilever back at my original purchase level? Too hard to resist! Hi DD thanks for the update. I'm still holding Amlin for now as I have other things I'd rather sell at the moment. As for Unilever, I don't own it as it's not quite "in the zone" as far as price goes, but it certainly doesn't look overvalued with a 3% plus yield. Thanks, John. I decided to go for it in the end. Or else I would constantly be watching the market waiting for the ideal moment. As I am rather time poor at present that seemed ill-advised! I know what you mean with regards to not being in the zone. Of course, I would much rather be able to top up lower but I think it is pretty reasonable at present. The same with regards to other consumer companies at the moment. Most seem to be--finally--sitting at reasonable value. Thanks. I hope it works out myself! I look forward to seeing what portfolio moves you make in due course. I am am so far behind on other people's updates at present. Hey DD, I'm going to hang onto my Amlin shares but I guess I do need to consider who/what to buy when I get when the sale to Mitsui Sumitomo finally goes through. Good luck with those Unilever ones - still not pulled the trigger on those yet! I was in two minds (as you know from my previous article on it) as to whether to just hold. In the end I decided it best to do it now. Firstly, timing seemed pretty good. After all, although the markets may drop further I considered current prices very reasonable for the long-term investor. Secondly, it is always possible the deal may fall through (think the Zurich/RSA situation). I don't think this one will, however. But it removes that possibility. If the deal falls through I will happily load up on Amlin again! Unilever is actually a really hard investment in many ways. As it is rarely obviously good value "pulling the trigger" is quite a challenge. Of course, in most other ways it is an easy one. It should have a place in anyone's portfolio after all! Good luck with getting a point to jump on Unilever. It will come soon I hope! Nice buy, DD. Don't think you'll get too many arguements from people over the quality of ULVR. I've also topped up recently, though as you say, you do have to pay a little bit extra for quality. Interesting point you've made about the dividends. I know it works both ways, but I'm not optimistic about the EURO going forward (very difficult to be with the current turmoil in the zone), and would be happier, and probably commit a lot more of my funds to ULVR, if the currency risk was taken away from us and they paid in GBP's. I think you're right, Phil. It is a fairly "safe" investment. I don't think it is unreasonably priced at all. As you say, for the long-term investor it should be a solid investment. Yes, I am thinking of a bigger article about dividends in other denominations and whether you take currency exchange rates into consideration. I am of a similar view to you with regards to the Euro. I don't expect it to test its highest strength against the GBP for some time. However, I would be surprised if it did not make some moves back towards the 10-year average. 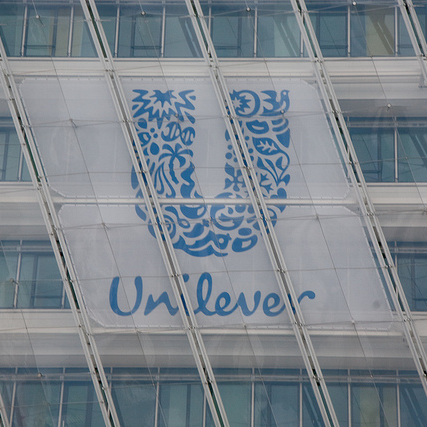 Even a modest shift would see a tangible change in real dividend income from Unilever. Ordinarily, it all tends to even out over time. Of course, at the moment the USD rate is working against GBP investors. But that is swings and roundabouts as always! I own Unilever stock and have thought of topping up. But earlier this year Niel Woodford said the shares were on a 'ridiculous' valuation. It's not often a fund manager is so forthright and outspoken. Whether right or wrong, I have avoided buying more at this point. There are some interesting alternatives especially if you are a contrarian. For example, BP is on. 6%+ yield and a PE of 6 ! Unilever is on 3% and PE of 21. Is future demand for soap really that much rosier than demand for oil? Thanks for your thoughts, Chris! I always love comments which get me to test my own logic! I agree that I would prefer Unilever on a lower valuation (as with everything). But I think the current price is pretty reasonable for the long-term investor (or life-long investor). As my site suggests, I am a big fan of Woodford so I am always happy to see his name crop up! I remember Woodford saying that in late January or early February sometime when the shares were almost touching £30. At the time I entirely agreed with him, it must be said (hence why I have not topped up my position since Jan 2014...just too rich for me). However, below £26 I find it much harder to see the valuation as "ridiculous". What you're buying with Unilever is steady profit and cash flows. Consistent modest EPS growth. Consistently high margins. A management team which has proven itself able to adjust and take advantage of changing situations and much more. Thought of from that perspective they seem a bargain! I also when considering my purchase look at historic PE ratios. For Unilever since 2010 it has been about 19.7. Then, using an average of the predicted EPS for the next two years, I work out what a "reasonable" valuation would be. At the moment this shows a price of c.£27.60. I think that sounds about right. So getting the opportunity to pick them up £2 less is very attractive. Sure, we are not going to see a spike in purchases in soap, washing powder, hair products, tea, ice cream or any of the other products they have. But, equally, we are unlikely to see a 50% decline in their price as we have with oil. Nor is there the potential existential crisis that the oil companies may or may not face in my lifetime. I am a fan of oil supermajors (I hold both BP and RDSB) and I am very interested in topping up my RDSB holding whenever funds allow. But overall seeing a "safe" company like Unilever at such a reasonable (historically speaking) price is too tantalising! Thanks again for your comment. A fascinating questioning of my purchase! I think the demand will go down gradually, so I always think of consumer staples as being much more important. Oil is threatened by so many new energy technologies that are upcoming right now. And I know that oil is important to other industries, including consumer staples to a certain extent, but we are moving and will continue to move away from it as time goes on. At the moment, there are still bargains to be had, as I too am heavily into RDSB, but I also want to build up lots of other areas e.g. more tech-related stocks such as ARM or others. Absolutely, I don't really see a sudden disappearance for oil. Even if we were to replace oil for fuel and energy it will continue to be required for other purposes. However, when you sit down and think about it, the extent to which "green" technology has advanced in the last decade is pretty staggering. What is more, we know from experience that developmental momentum for such things grows rapidly (rather like our delightful compound interest). We are going to have to wean ourselves off oil and gas eventually. I don't expect us to be weaning off consuming products at the same time, however! The reality is that these supermajors know the game better than we do. They are making moves into "green" tech but also realise that they should be able to use their immense firepower to transition to these technologies when the pivot away from oil is about to occur. even if we knew oils dominance would end in, say, 10 years the supermajors would still be worth investing in. I agree, I am very lightweight in tech stocks. ARM is always on my radar but never really high enough up it to be bought. Maybe one day. Laird may be worth a look at too (especially for the yield). Ok, its not cheap but "ridiculous valuation" seems like an overstatement to me. I prefer Nick Train's view - basically I am more certain that Unilever is a great company than I am certain that a 20 P/E is too high a price. Nick Train is another of my favourites. It is a good view to take if you're a long-term investor. It is, of course, therefore no surprise to find Unilever at the top of his fund's holdings (along with Diageo). I did largely agree with Woodford that the valuation of Unilever at the time was a bit much. But maybe his choice of word was a bit exaggerated. For instance, I think Reckitt Benckiser is certainly expensive. But ridiculously so? Maybe not. It is a hard balance to strike when it comes to top performers like Unilever and its like. When is it really a good value buy? Sometimes it just comes down to whether you feel happy buying at that price.